I just spoke to someone from the Libraries Yes! campaign, and they’re in search of young voices supporting the library. Do you have a voice that you’d like to use to support the library? Were you already in search of easy ways to show your support? Today is your day! Make an online comment on the Portland Mercury’s recent endorsement of the Library District. Make an online comment on the Willamette Week’s recent endorsement of the Library District. Make a quick video saying why you support the library and how you use the library as a resource. This does not need to be professional quality — just smart, thoughtful, and relatable. Email the video to info@librariesyes.com. I’m on my way home to make a video with my kids. And I just posted some of my comments to the above articles/links. This is such an easy and wonderful way to volunteer from the comfort of your own computer. Try it and let me know how it goes! 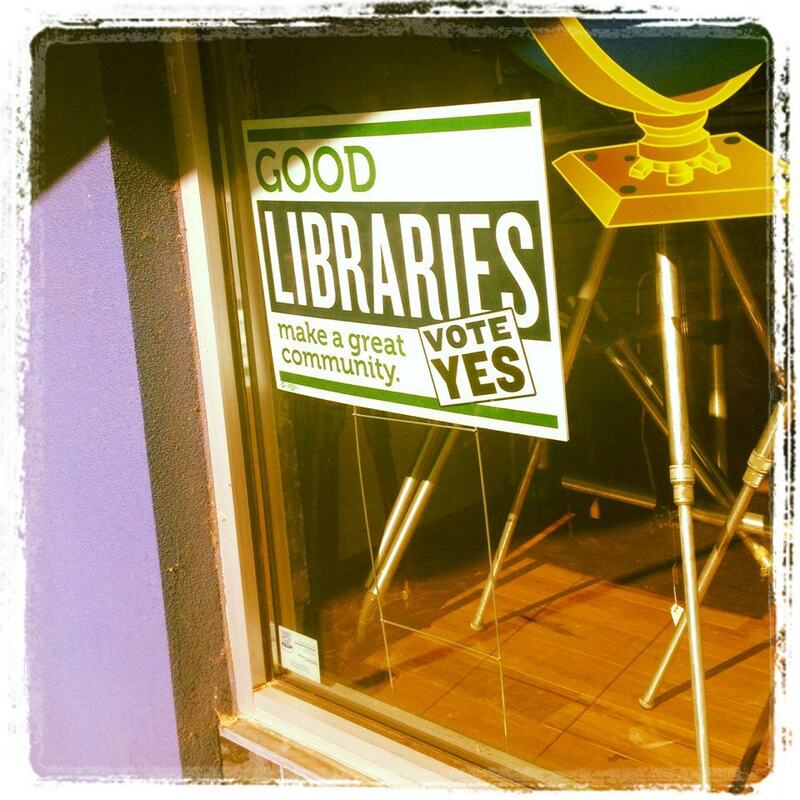 Say Yes to Libraries (24-143) with Your Words & Actions! Many Multnomah County voters are wary of a permanent increase (though quite a small one) on assessed value taxes, an understandable stance given our current economic woes. However, I implore these voters to consider the many services and opportunities the library provides and may improve upon if this measure is successful, by creating a solid funding base allowing for extended hours (which were recently cut greatly) and a system of stability. In more ways than one, the Multnomah County Public Libraries are one of our greatest resources in fighting poverty and instigating community improvement. Come to the First Rally of the School Year in PDX: Get Engaged Now! After a few weeks on vacation from blogging, I’m back! I spent the summer teaching educational equity courses in partnership with Upward Bound, the 9th Grade Counts Program, the CJCC Urban Day Camp, Puentes, and James John SUN School programs. 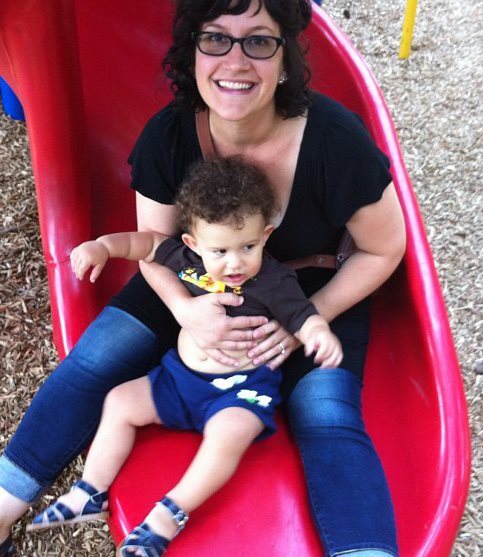 I also spent a great deal of time at the playground, the library, the community center pool, and the farmer’s market with my family. I agonized over preschool options for my daughter, strategized changes in my teaching, and thought a lot about what it means to encourage deeper and more local civic engagement. This season of blog posts is going to be a lot of fun and very focused on (1) providing information that will allow readers to be educated voters on issues that impact kids and schools, (2) showcasing student voices, and (3) keeping us all tapped in to current education happenings in Portland and beyond. I’ll also be writing about how to get more involved in being an active community member and advocate for local schools and kids. Many Oregon classrooms (read about Beaverton classrooms here) are overcrowded as they start the 2012-2013 school year. The reason? Massive system-wide budget cuts have reduced teaching staff. All eyes are on this year’s kindergarten kids. The new promise of Governor Kitzhaber’s overarching education plan for Oregon is that 100% (yes, 100%) of these kindergarten students will graduate from successful high school experiences. We’ve got a long way to go. Oregon teachers have a mandate to work harder to teach Oregon students to be strong writers. Writing scores from last year indicate that students are struggling more with writing than other core subjects like math, reading, and science. Schoolhouse Supplies gathered donations to give free backpacks and school supplies to hundreds of low income students. Wonderful organization! Check out how to get involved year-round here: http://www.schoolhousesupplies.org/. In case you hadn’t noticed (ha! ), we’re in an election season. The RNC and DNC revealed a few things about each presidential candidate and his views on education. See ideas for integrating information on the election (and civic engagement in general) here. The Portland State University has a great resource guide on national as well as local issues that will be up for the vote in November. In terms of what will impact local kids and schools, the upcoming PPS bond measure is a major item to become educated about. I’ll be posting more in the next few weeks on this. 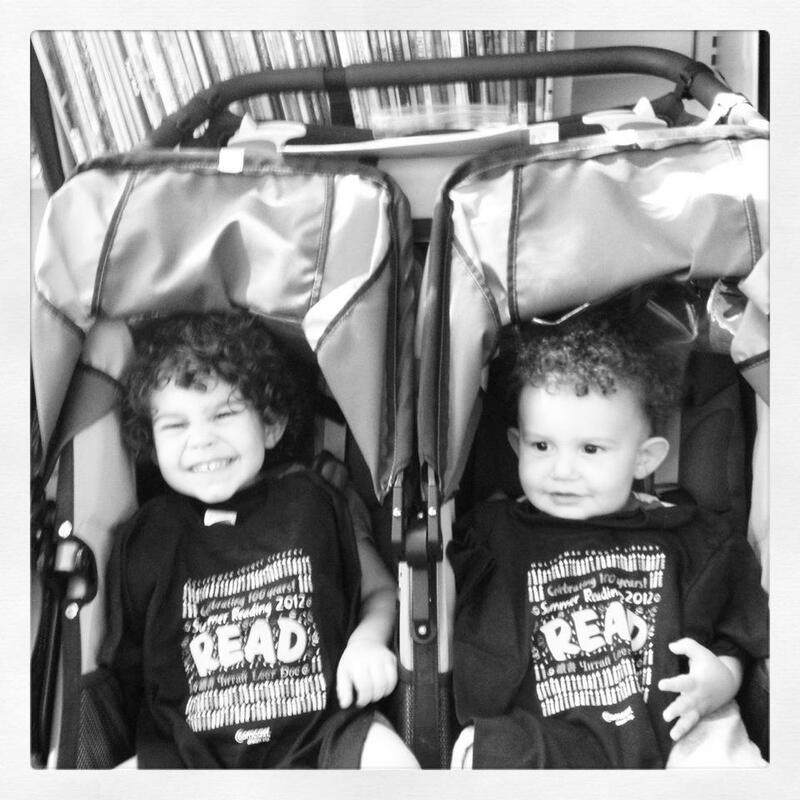 Also important to local kids is a vote for more stable library funding in Multnomah County. Check out more information here. What other issues are impacting schools in your neighborhood? What kinds of volunteer work are you plotting for the 2012-2013 school year? How will you become a more engaged community member as kids head back to school? As always, I welcome your thoughts and look forward to an exciting fall! I love my job because I’m constantly learning. I learn how to be a better teacher, what I want to take place in the classroom, and what I want to take place in the world each time I teach. I learn about new perspectives, innovative ideas, and questions that I should be asking. I get to be inspired by committed, hopeful, energized people willing to sacrifice a little to better the place we live for all. This week, a few students agreed that I could share some of their work. My first guest blogger is Tyler Kennedy, a student who is passionate about sustainability and who has become very involved in our Enhancing Youth Literacy course discussions and hands-on work. His words appear below in teal. The general public is not educated in terms of funding of educational programs because it’s not a subject covered in our sensationalized media today….If I were in charge of educational funding, I would assuredly allocate more funds toward early age education and parental support and assistance programs during the first few years of childhood. However, this is due to my belief that it is not an educational problem as it is more of a poverty issue, which has repercussions in education…Providing a social help network to poor or needy families can go a long way. Building and repairing libraries and other community resources is a great start. With so much wealth being traded daily in our nation, how can we let our brothers and sisters suffer without basic life necessities? Conversations and thinking about poverty, our education system, and the media are the first step in creating change in our communities, and I’m proud to be a witness and participant in this kind of discussion. So, what do you think, readers? Why are we uneducated about education and what’s the best way to educate a public that often feels apathetic or defeated? It has been hot, and I’ve had a busy summer so far. I’m teaching full time, parenting full time, and working to sneak in some vacation-like moments listening to music through the Summer Concerts in the Park series, going on trips to the Oregon Zoo, spending a little time in the garden, and hauling books back and forth between our house and our local branch of the Multnomah County Library. At night, when the kids have gone to bed, I love to sit back and watch a film. While I do watch my share of non-school related movies, here’s a list of titles that will create cinematic learning experiences about the state of education in America right in your own living room. I’ve listed the title of each film and an easy place or places you can find this film. I’ve also put an asterisk by the films that are a little more optimistic in case you can’t take one more depressing bit of information about schools. I completely understand. Most of these films that can be received or instantly viewed via Netflix are also available at local independent movie shops like Videorama. It’s also possible to get most of these through your local university library if you have a school library card. Happy viewing. And check back for a summer reading list and some book reviews later in the week! keep their doors open 7 days a week or to keep all programming available. Because of this, there are conversations taking place about how to create more stability in library funding in the future. Take this survey from the Multnomah County Library to add your voice to the mix: https://www.research.net/s.aspx?sm=mIKhUNCW297X%2bwJPVyST7YfCqDJ7zxi5QqI8Y75tDbw%3d.